Wall cabinets are 12" deep, but unlike base cabinets, they vary in height. The most common height is 30", but 24", 18", 15" and 12" heights are available (Cabinet Sourcing have a 21" height and 18", 24" and more heights according to customer needs). They range from 9" wide to 48" wide in 3" increments. The 30" height cabinet usually has all 3" increments available. If any are missing from the “lineup” it’s likely to be the 45" and/or 39". The other heights have fewer width choices. Wall cabinets through 24" wide are single door. Though some 24" cabinets are available in double door. Some manufacturers have reversible doors while with others you have to specify “hinged right”, or “left”. 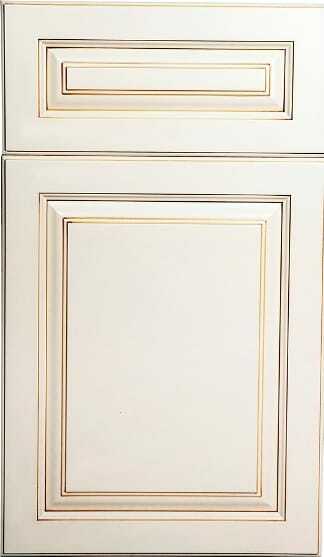 Though certain styles of any door may not be reversible, such as a cathedral style (reversing the doors often means just turning the wall cabinet upside down). Wall cabinets usually have four numbers plus one or more letters in their name. The numbers list the width first, then the height, in inches. Some common letter names include: “W” for wall, “DW” for diagonal wall, “WC” for wall corner and more. Some manufacturers add a letter or change them around as there is no standard. For example, “WDC” might mean wall diagonal corner. Some put the letter first and the number second, others reverse the order. Become familiar with your suppliers “code”. 24" deep wall cabinets are for a “top” over utility and/or oven cabinets of the same width. Some "tall" cabinets are 66" (5'-6") tall, with this 18" height cabinet on top they equal 84" total height. Wall cabinets that go over a peninsula or island usually have doors that open from both sides. The dining room side may have decorative glass in the doors. These cabinets are often shorter so a better view into the other room is possible. The 24" height is common, with 30" also available.In some peninsula layouts doors opening from both sides may not be wanted. Regular wall cabinets can be used with prefinished 1/4" plywood used as a back. This is available stained to match, usually with or without V-grooves. Turning corners in wall cabinets is not as difficult as with base units. The drawer clashing problem is not present. Still, if you get two doors in a corner with their hinges back to back, it’s possible they will clash and the doors will only open part way. It depends on door thickness, etc. But be aware of it. Many of the same type cabinets help turn wall corners as did the base units. Since peninsula cabinets were just discussed, that is what starts off this section. Many other accessories and some other cabinets may be available from different manufacturers. A common one is the microwave cabinet. More accessories include: wall fillers, end panels, plate rails, various mouldings, what-not shelves, valances, wine racks, spice racks and more. Some manufacturers of “made-to-order” cabinets allow you to order an “extended style” (meaning vertical millwork piece) for an extra charge. This allows flexibility to cut to size on the job for that final fit. This is especially good with remodelling when walls are not plumb and/or the finish wall is not in place when you have to measure and order cabinets. The extra amount can be scribed or trimmed for exact fit. Sliding dovetails provide several advantages over a dado joint. First, they're stronger because they don't rely solely on glue. Second, the shoulders of the dovetailed piece hide the edges of the slot, much as a tenoned workpiece hides a mortise. And the exposed dovetail provides a visible signature of your craftsmanship. 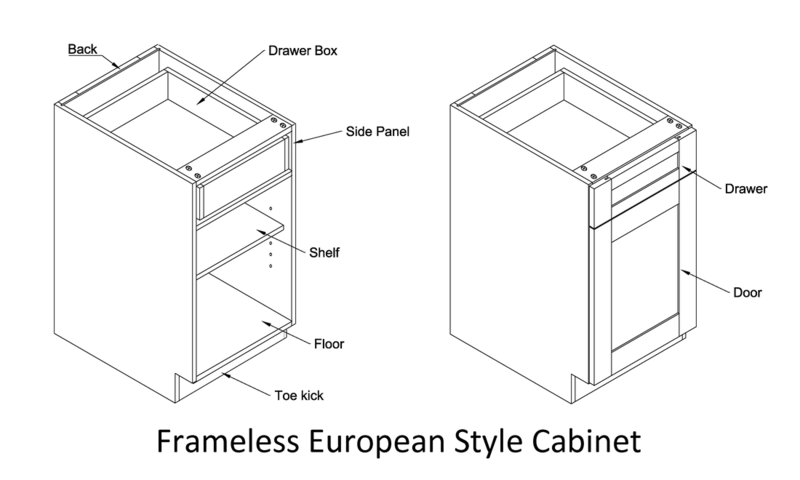 Cabinet Sourcing is proud to make high quality sliding dovetail face framed kitchen cabinets. Also we can make similar construction where top and bottom connect to sides. This construction save our customers assembly time and make it easier. To make this joint, you'll rout the dovetail slot first, then cut and size the dovetail to fit. For the slot you'll need a handheld router and the dado jig shown below. In addition to a 5⁄8 " guide bushing, you'll need a 1⁄4 " spiral downcut bit for clean cuts (a 1⁄4 " straight bit will also work) and a 1⁄2 " dovetail bit. We chose a 7° dovetail bit because it leaves a thicker, stronger "neck" on the dovetail than a 14° bit would. You will shape the dovetail on a router table. For testing the router-table setup, prepare a panel the same thickness and about the same width as the project panels to be dovetailed. You will cut the dovetail slot in two operations. First, to reduce the load on the dovetail bit, remove most of the waste with the spiral downcut bit. Then switch to the dovetail bit to complete shaping the slot. Because the dovetail slot tapers from bottom to top, the inside edges of the jig do not align with the top edges of the slot, photo below. To reposition the jig accurately for each operation, use the jig to draw layout lines on your workpieces to define both sides of the slots. Install the bushing and spiral downcut bit, and set the bit's cutting depth to 1⁄16 " less than the final depth of the slot. Clamp the jig along the layout lines and rout across the panel. Rout each slot with this setup. 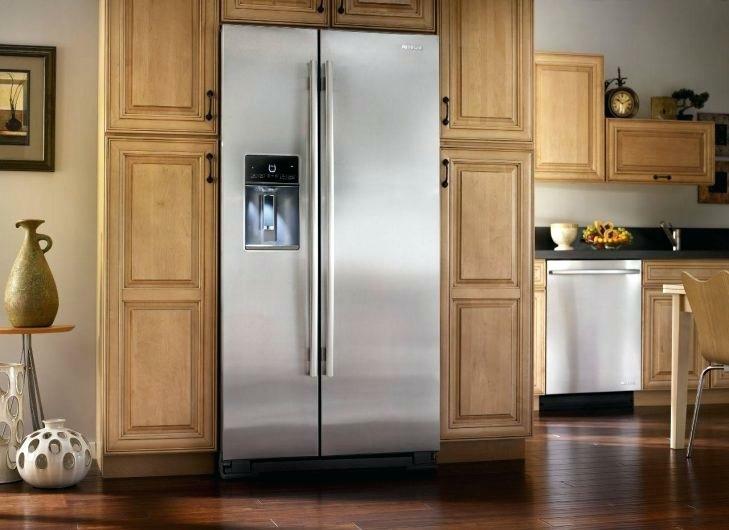 Sometimes called utility cabinets, tall kitchen cabinets are usually 84" (7') tall, but some are 90" or 96". 7', 7.5 or 8' are considered the normal height that the top of wall cabinets are installed. There are three main tall cabinets: oven, pantry and utility or broom. OVEN CABINET. These cabinets are used to house an oven separate from a range. Often used when a cooktop is used in place of a range, or for a second oven. An oven cabinet could hold two ovens, or an oven and microwave. At Cabinet Sourcing, we make oven cabinet to customer specs. We can customize the opening for customer to fit oven or microwave of any size. Check manufacturers information for how much you can cut out of the openings. PANTRY CABINET. Sometimes a regular utility cabinet is used and a kit is installed that contains shelves, brackets, etc. Kits are available for door storage. Manufacturing network of Cabinet Sourcing can provide special pantry unit with storage in doors, shelves and other features. FINISHED ENDS. The fixed size cabinets usually have all the cabinet ends stained to match. Some of these ends will be exposed while others will be hidden, but since they are all pre-stained it’s not a concern. The cabinets that are kitchen cabinet factory made, but not until an order is placed, usually stain only the ends requested. This means the kitchen estimator has to inspect the design and “list” either “REF” (right end finished), or “LEF” (left) or “BEF” (both) and add the required cost. Cabinets from Cabinet Sourcing normally have both ends finished. Some kitchen cabinet manufacturers have a fir end you can get prefinished at a lower cost than the main cabinet wood. This could be a good choice next to a refrigerator, for example, where you may see the end, but not plainly. There are many other base cabinets and accessories available. Appliance garages, custom shelves, prefinished matching V-groove, or no V-groove panelling sheets so the back of regular kitchen cabinets used in a peninsula can be finished, cutting boards, bread boards, wire basket liners, bread box liners, cutlery trays, half-round open shelves for end of base cabinets, microwave trim kits and more. Two corner cabinets that cut down on problems in turning corners are the “lazy susan” base and the “blind corner” base. Always takes up 36" of wall space. Makes good use of corner space but does not allow any adjusting for odd dimensions in a run of base cabinets. Manufacturers make enough sizes to cover every distance from 36" of wall space to 51". They do this by making the style (panel) between the door and the opening wide enough so the cabinet can be slid forward (called “pulled”) up to 3" and for some models up to 7". Notice on the illustration that the cabinet box is usually made short so it doesn't go back to the wall. Often it is up to 12" away from the back wall. This cuts down on storage space a little. This cabinet gives a lot of flexibility when a run of cabinets has to fit exactly between two fixed points. When designing be sure to put it into the correct run of cabinets, if you have a choice (the run that has the fixed points). A concern of anybody who plans kitchen cabinet layouts is to get the corners correct. The problem is shown in the adjacent figure. Drawers may be restricted from opening by the next drawer at right angles, or if it clears the drawer, it may clash with the drawer pull or knob. Many cabinets have no knobs or pulls, so the drawer may clear fine for now. But people may want to “redo” the kitchen later including installing pulls on the drawers. Make sure, then, that you avoid the “corner problem”. There are several ways to successfully turn the corner. The lazy susan is a popular choice. 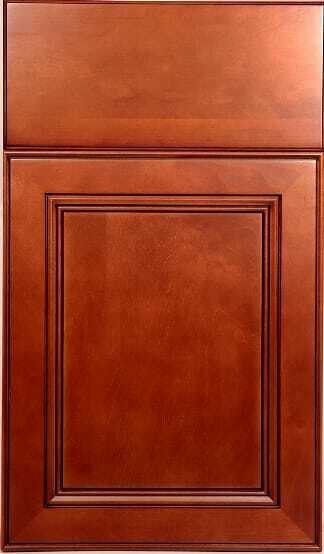 Cabinet manufacturers make a “base corner” sometimes called a blind corner base, or similar (BC, or BCB). This includes a 1" filler that “pushes” one cabinet away so drawer hardware will clear. The corner base has a large “style” (panel) that enables the installer to “slide” the cabinet forward or back so that its hardware also clears. 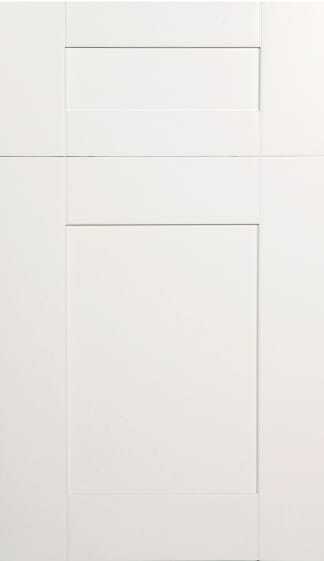 It also allows the designer to adjust a “run” of cabinets for uneven dimensions. You can put a filler piece on one side of two regular base cabinets, to turn the corner, leaving the corner unusable. Of course this is not usually a good idea, but if you are bidding against a competitor who did this, your bid would naturally be higher, all other things being equal. The corner can also be turned by using a square sink corner, or a diagonal sink corner. ​Not all manufacturers have this size, but if they do it usually has no drawer or shelves. It probably has vertical partitions and might be called a “tray storage” cabinet. These sizes have a single door and drawer, though some 12" cabinets do not have a drawer. Some manufacturers have a fixed door so you have to specify whether the door is “hinged right” or “hinged left”. But many can be made to open either way (reversible). These sizes are double drawer and door, though some 27" cabinets may have a single drawer and the double door may not have a “style piece” between the doors. Sometimes the 45" and/or 39" and/or 27" is not available. Most drawer stacks have 4 drawers though some have 3. Bread boards are optional on most base cabinets but it is common to put one in a base drawer unit. The 15", 18" 21" and 24" are most popular though the 21" is not always available, nor is the 12". SINK FRONT 24" to 30"
This is just the front, no sides back or bottom. It is cheaper than a base unit, but by the time other pieces are bought and attached it may be just as expensive (normally a sink base is preferred). You may find it noted SF27-24. Since it’s just a front, the edges can be cut down to alter the size. In this case it comes 27" but can be cut down to a 24" if needed. Many times a 30" is a double door, but not always. Same notes as the 24" except a double door with false drawer fronts. 36" is most common and not all sizes are available. Some are made so 6" total can be cut off (3" per side). Another way to have a corner sink. Needs “L” shaped sink. A cabinet with no drawers (but with false drawer fronts) to receive a sink which would be set through a hole cut in the counter top. It usually has no shelves. The 36" size is the most popular by far, then 30" and 33". Not all increments are always available. Similar to 24" sink front but with “wings” on each side, at 45° to cut diagonally across a corner. Can use a standard sink. A diagonal sink sounds “cute” but any sink in a corner makes that area quite congested. Think twice about using a corner sink. At ﻿Paul Cabinet Sourcing﻿, we are proud of custom making base cabinet of any type and size upon customer's needs. 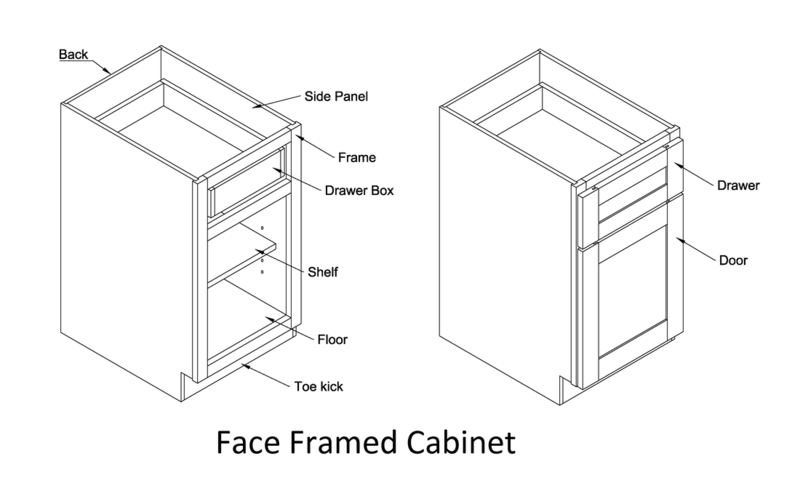 There are three main ways cabinets are handled. Paul Cabinet Sourcing mainly apply the second and the third. The first is where cabinetmakers custom build the cabinets on the job or in their local shops. They take the actual dimensions, buy sheets of plywood and construct the exact sizes needed for a specific kitchen. 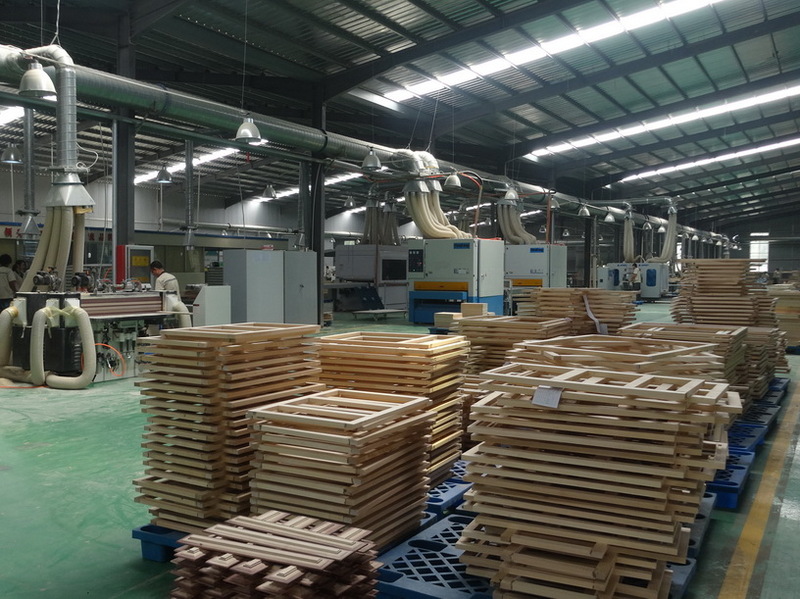 The second is where a manufacturer builds cabinets in a cabinet factory, all to set sizes and specifications. This is quite common with low and medium priced cabinets. They just manufacture their set sizes on standard production runs. A wholesaler or stocking retailer “stocks” a variety of sizes before a sale is made just like many other products in your store. The advantage is they are available immediately (if you have the right sizes and styles in stock). It puts a burden on the designer to pick out and “put together” the pieces needed to exactly fit the kitchen, from the limited choices. Usually the standard base and wall cabinets are made in 3" increments from 9" to 48", but not every 3" increment size is made by all manufacturers. 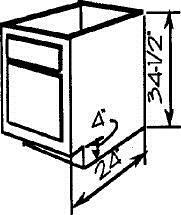 The most common 3" increment not manufactured is probably the 45" wall and 45" base cabinet. Next size omitted from a line up is probably the 39" cabinet. Any cabinet other than the standard base cabinet and the 30" tall wall cabinet is even more restricted in sizes available. Check your cabinet manufacturer catalogue. Even with the size restrictions these cabinet factory made cabinets can fit almost every situation. There are fillers, corner bases that have a large centre panel and therefore can be slid up to 3" or more, to take up the “slack”, face frames that can be “shaved” if necessary, etc. 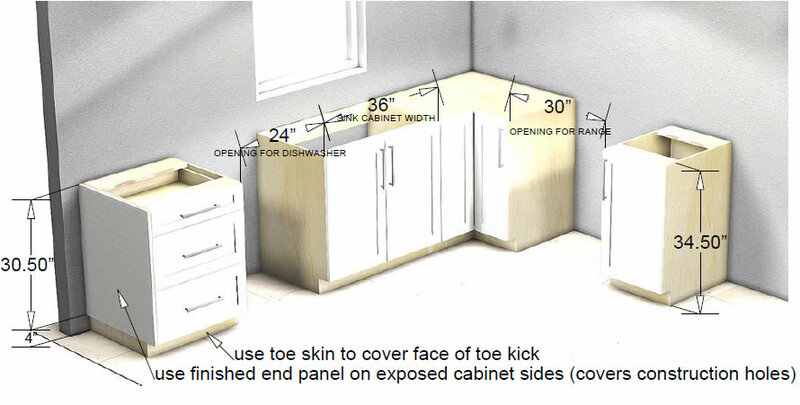 It may take some planning on your part, but these cabinets should be able to work in 99% of the kitchens you have. The third choice, usually with medium and upper priced kitchen cabinets, is where the cabinet manufacturer has set sizes, but does not make them until an order is received. Of course this means a two to ten week, or more delay before receiving the cabinets. An advantage is that the manufacturer will alter the set cabinet size, for an additional charge, so that no filler pieces are needed and the cabinets can fit exactly. They can also stain the exposed cabinet ends that need it and possibly use a more economical wood for the ends that are covered. ​When you deal with a certain kitchen manufacturer you don’t get a choice of methods. Each manufacturer works with its method. One of the big advantage our customer gain when work with Paul Cabinet Sourcing is, our selected Chinese cabinet manufacturers formed a cabinet manufacturing network, which enable us always choose the best cabinet manufacturing methods to cater to customer's particular needs.